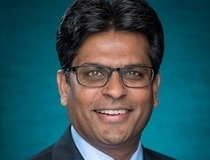 UNCW College of Arts and Sciences Dean Aswani Volety has been appointed director of the North and South American Chapter of The World Oyster Society. Established in 2005, the organization is comprised of scientists and researchers committed to the sustainable culture of oysters and to maintaining and restoring biodiversity in coastal marine ecosystems. The North and South American chapter is the society’s largest. Under Volety’s leadership, the chapter will explore ways to increase its membership, including partnering with the National Shellfisheries Association to develop targeted workshops and conferences to address specific regional needs, especially those of the aquaculture industry. “We hope to find practical solutions that support the economic and ecological needs of North and South America by bringing together scientists, aquaculture industry experts, government agencies and resource managers,” Volety said. Volety holds a Ph.D. in marine science and is the past president of the Southern Association of Marine Labs.